Gabe — When taking my 4 year old son, Jake, to the pediatrician for his annual check up, the doctor ran a series of physical tests that lasted about five minutes (pull my hand, push my hand, look this way, look that way, etc). Jake ran through the actions like a pro. At the end of it the doctor remarked that most kids have to be 5 or older before they can do the entire battery without losing focus. 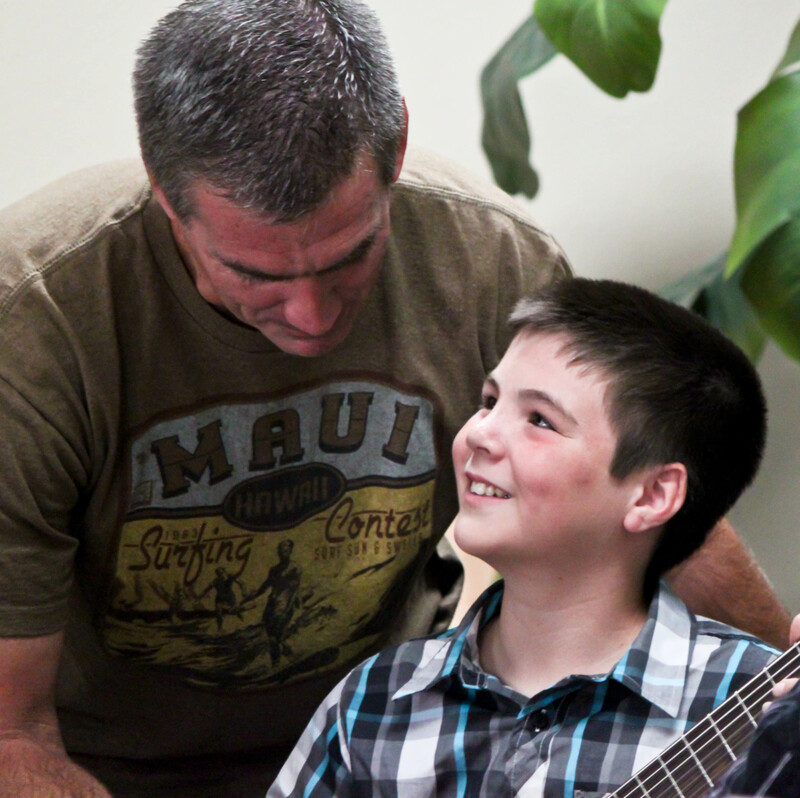 I’m sure that the last year of guitar lessons with you have contributed to his remarkable focus, in addition to further establishing his love of music. We couldn’t be happier with the lessons, the method, or with you! Mr. Becker has been teaching our 4 your old daughter for nearly a year now. My daughter is especially shy (like her parents) and didn’t talk to her preschool teachers for over a year so we were a little apprehensive about starting guitar lessons at such a young age. 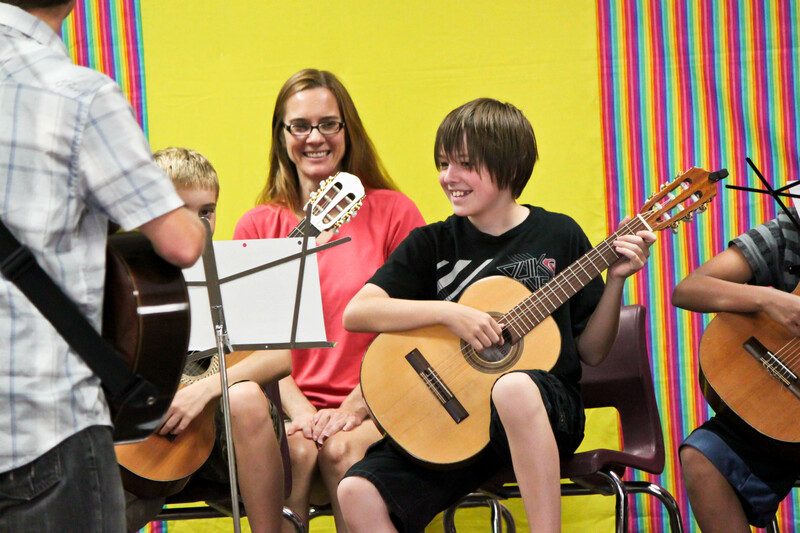 But Mr. Becker was able to get her to open up and talk and to have fun learning the guitar very quickly, within just a few lessons. Now, she loves the group lessons and likes to show off to her cousins by playing Twinkle Twinkle Litter Star. Recently, she has also insisted that we invite Mr. Becker to attend the upcoming Walt Disney on Ice show. Both my wife and I are grateful to have Mr. Becker in our child’s life. 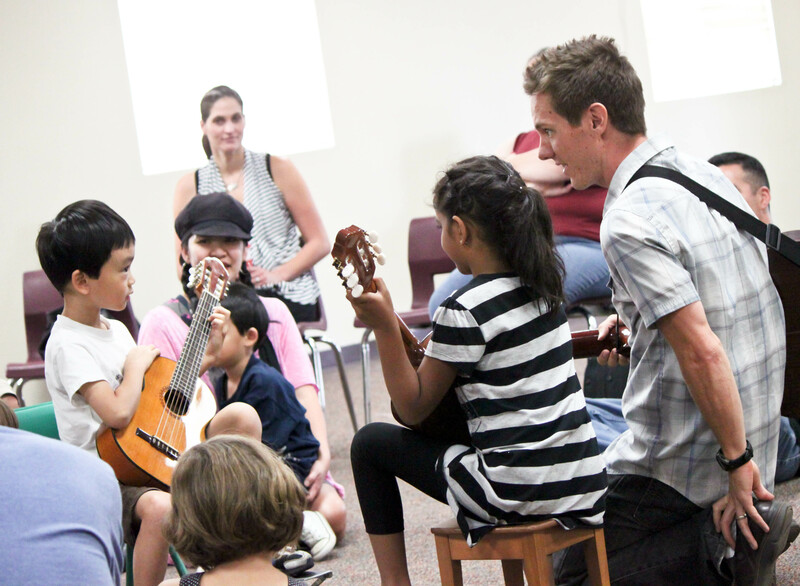 He turned us on to a book that has helped us raise our daughter (Your Child’s Growing Mind) and he has proven not only to be an incredible guitarist, but a gifted teacher and organizer who really understands children. I have known Gabe for eight years and I have watched him develop into an excellent guitar teacher. Gabe and I both took private lessons and participated in Suzuki Guitar Group Lessons under the tutelage of Maestro Brandon Yip. We jointly attended Suzuki Guitar Teacher Training Unit 1 and Unit 2 taught by Suzuki Guitar guru Frank Longay. I had the pleasure of teaching group lessons with Mr. Becker for about three years, and I currently assist him during his Group Lessons so that I can continue learning from him. Gabe’s extensive qualifications and his fun-loving personality make him a natural at teaching very young children, as well as adults. 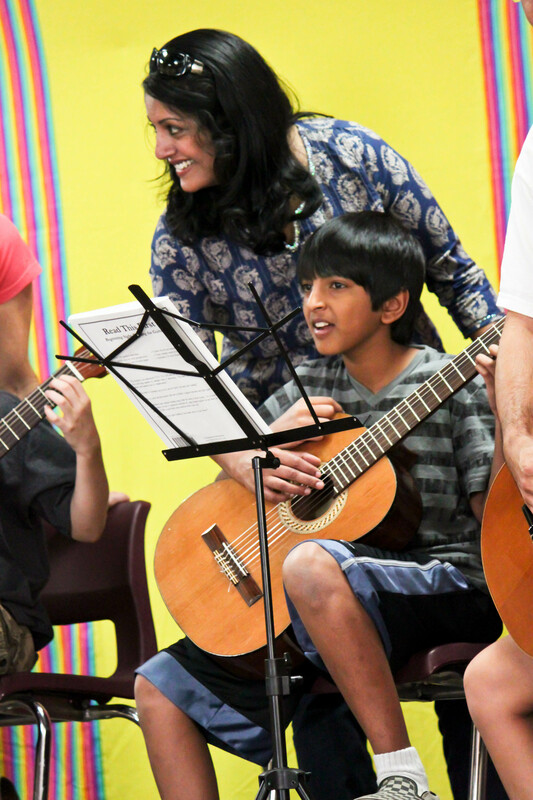 Every lesson activity has a learning purpose, and his students steadily progress into confident musicians that enjoy the journey. I would encourage anyone interested in taking lessons with Mr. Becker to come and see for yourself by observing him in action at a Group Lesson. My granddaughter, Sarah, has been taking classical guitar lessons from Mr. Gabe Becker for the last five years. 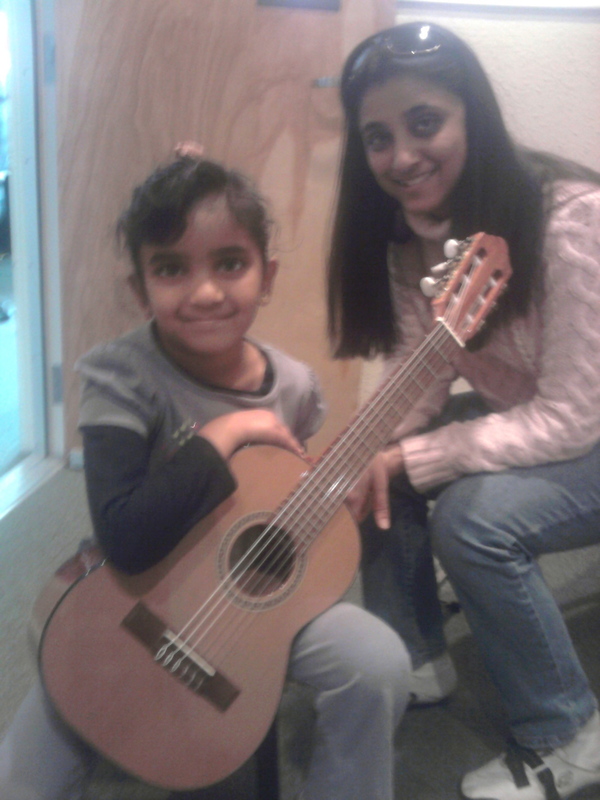 She began as a complete novice as an 8 year old and is maturing into a fine classical guitarist feeling confident at recitals and excited about learning the next new musical piece. Mr. Becker is successful because he employs effective, fun, and age appropriate instructional methods combined with his positive personality. 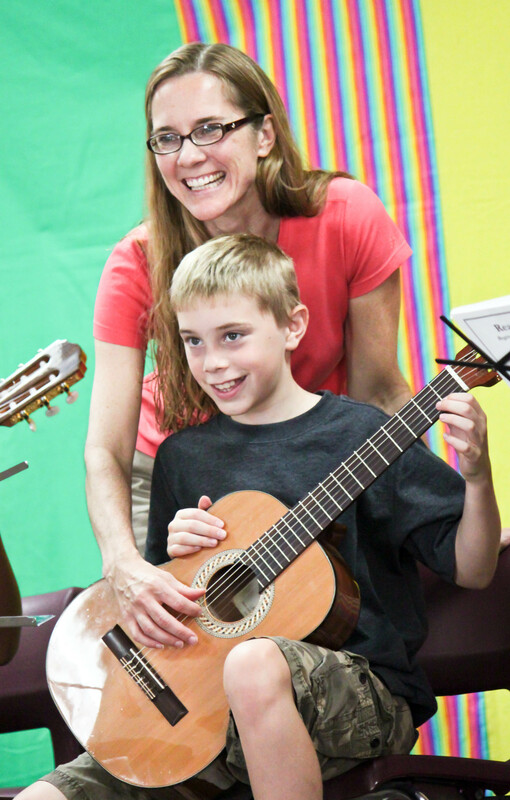 He encourages all of his students to have musical and personal goals to strive for. Sarah has benefitted tremendously under Mr. Becker’s tutelage, musically, educationally, and personally. 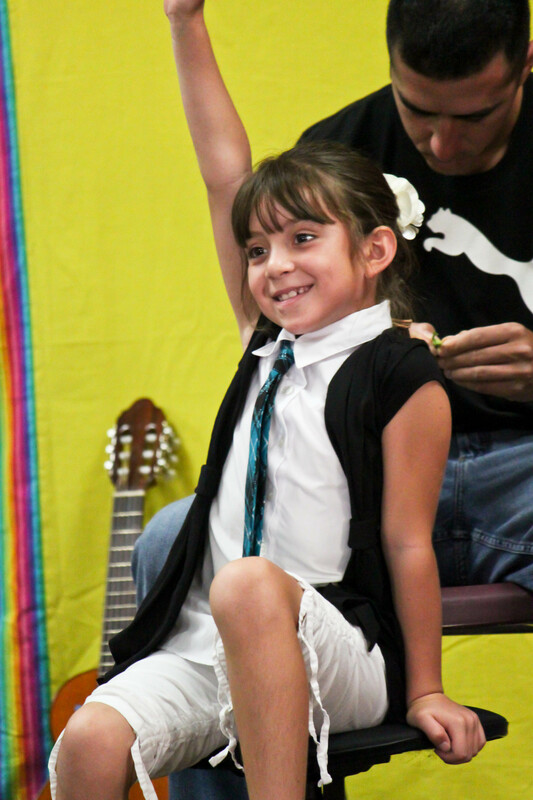 She has acquired various academic and life skills that come from attending weekly lessons, daily practice sessions, and performing at recitals such as focus, time-management, determination, perseverance, and commitment. I would like to personally thank Gabe for sharing his passion for music along with his time, treasure, and talent! © 2019 Becker Guitar Studio.